When it comes to NHLPA members and the off-season, sun, sand and surf will soon be replaced by sticks, skates and stats. The beginning of the NHL season is right around the corner, with training camps opening up only a month from now. With the 2009-10 season prolonged by the Olympics, it was only a short time ago that Patrick Kane was streaking down the ice in celebration after scoring the Stanley Cup-clinching goal. The off-season, while relaxing and enjoyable for most NHLPA members, is quickly coming to an end, with many players already well into their preparations for the upcoming season. As the 2010-11 season inches closer to puck-drop, there are still a large group of free agents who are without a contract for the upcoming season. Many proven performers are playing the waiting game, actively pursuing options with their agents, looking to find a club with a roster spot suited for them. A common theme in the past couple of NHL off-seasons has been a late-summer push by clubs to fill roster spots, when general managers are looking for a specific fit in their line-up, and there are some free agents left on the market. Let's take a quick look at some of the Players who are still on the open-market and the skills and traits that they can bring to an NHL line-up. For the younger teams that will be looking for experience and leadership, Bill Guerin and Paul Kariya will draw some interest. Guerin was a pivotal player for the Penguins over the last season and a half, helping them to a Stanley Cup two seasons ago and scoring over 20 goals last year. Kariya brings a tonne of experience along with him as well, having played in close to 1000 career games. His 402 goals during that time also highlight a resume that has seen him produce offensively since the time he came into the league. Other proven offensive talents that still remain on the open market include Lee Stempniak and his 28 goals in 2009-10, Mike Comrie and Freddy Modin. Third and fourth-line type players have really taken a hit in this salary cap era of the NHL, leaving them the odd men out on far too many occasions. While some eventually find spots in the NHL or in Europe, this year's batch is particularly solid and is filled with players who provide the grit and commitment needed to win. Arron Asham was a significant role player for the Philadelphia Flyers during their run to the Stanley Cup Final last year, with toughness and fearlessness, a sneaky touch around the net and his strong defensive play. Jeff Halpern has been one of the most underrated defensive forwards in the NHL over his career and, after a season that saw him be deemed valuable enough to be moved to Los Angeles at the trade deadline, he is still available to help firm up the centre-ice position for any NHL club. The same could be said for Raffi Torres. Steve Begin, Darcy Tucker, Adam Mair, Dean McAmmond and Shean Donovan, as they are a few of the other players that fall into this category and who have all also played for many, many seasons in the NHL. When it comes to defenceman, there are those who can give you reliability in their own end every shift, and there are also those who can help a team lacking offensive punch. Kim Johnsson, formerly of the Philadelphia Flyers, is one of the former, having produced close to 300 points over the course of his 10-year career. For power-play help, there are few better than Marc-Andre Bergeron, who scored 13 goals in 60 games last season, seven while on the man-advantage. For rugged, defensive-first defenceman, Willie Mitchell is the first name to pop off the list of still-available free agents, having proven himself a very solid player, especially on the penalty-kill, over the past ten NHL seasons. Shane Hnidy and Jay McKee are two players who also play a similar style to how Mitchell plays, while Garnet Exelby and Andreas Lilja provide much of the same, to go along with a physical dimension to their games. Between the pipes, former Hart Trophy winner, Jose Theodore is coming off a stellar season with the Washington Capitals and has obviously proved he is capable of producing some top-level play for a team in need of goaltending. Ray Emery would probably be off of this list, if not for a nagging hip injury. 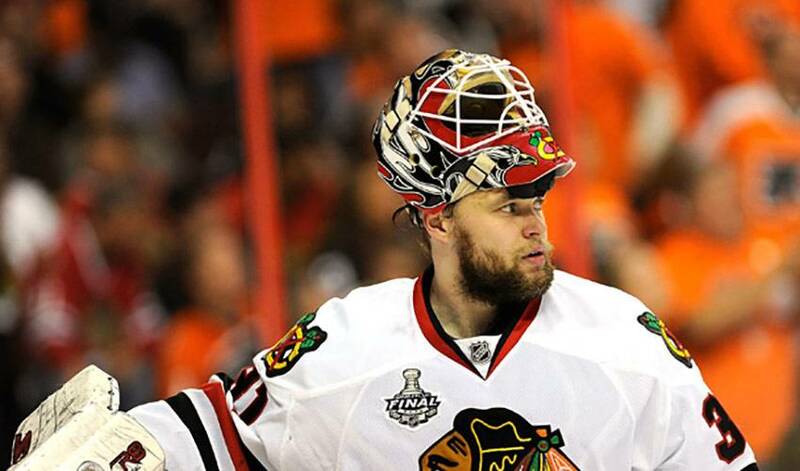 Antti Niemi, the Stanley Cup-winning goaltender last season, is still available after the Blackhawks walked away from an arbitration decision and there are definitely clubs interested in his services. All-in-all, the list of players available includes a number of consistent and proven NHL players. There is no doubt that as days begin to get shorter, that all 30 NHL general managers will be coming calling for the talent, physicality and leadership that all these players provide. Benn, Holtby and Kane voted by fellow NHLPA Members as finalists for the “Most Outstanding Player” Award. After reaching the 100 point plateau for the 1st time in his career, Patrick Kane is the NHLPA.com Player of the Week! 'Hawks star excited to be part of the All-Star weekend festivities in Raleigh, N.C.